This essential source collection was first prepared during the mid-19th century, however eventually published only shortky after the Meiji Restoration in 1867-1868. 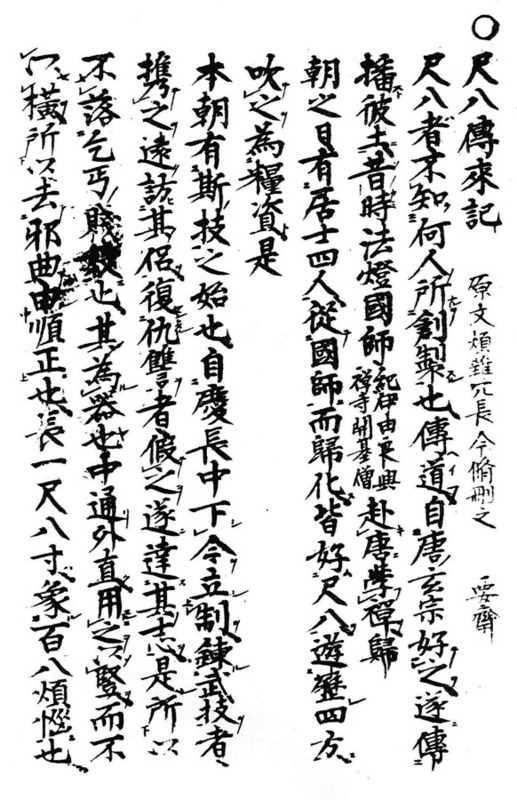 Among the historical material contained you find the very important text and honkyoku-document 'Shakuhachi denrai-ki', dated 1732. 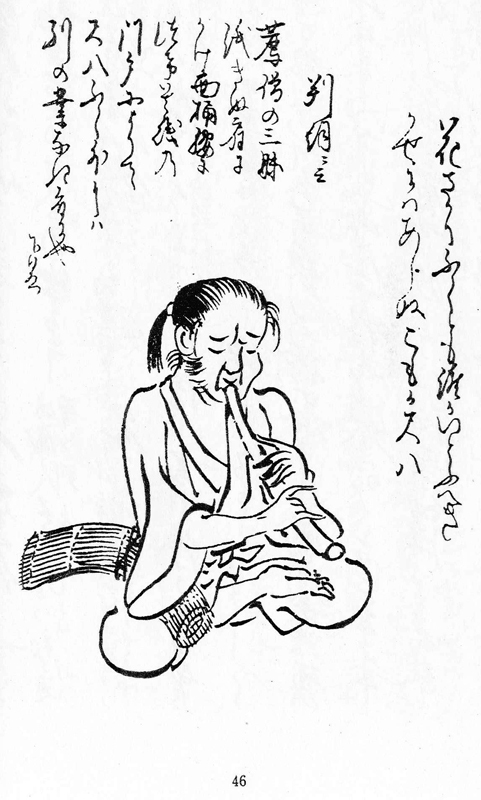 The Komusō zakki, 虚無僧雑記, is an anthology of Edo Period shakuhachi-related texts and pictures that was originally compiled/authored by Okumura Noriyoshi, 奥村得義, who lived from 1793 to 1862. In 1843-44 (Tenpō 14-15), the scholar and writer Kodera Gyokuchō, 小寺玉晁, 1800-1878 - a retainer of the Owari clan, Nagoya - borrowed and copied the material, then annotated and prepared the work for eventual publication. 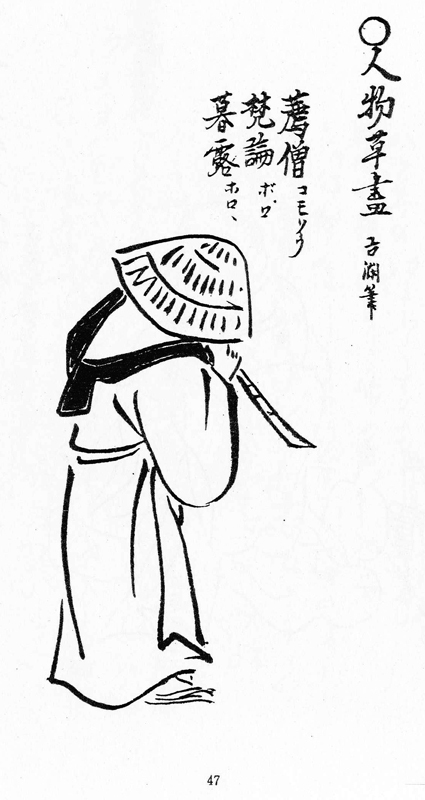 However, according to the shakuhachi historian Yatō Osamu, 矢頭治, Komusō zakki may first have been presented in final print as late as in 1871.
published by the book store Mytown, Nagoya, 2004. 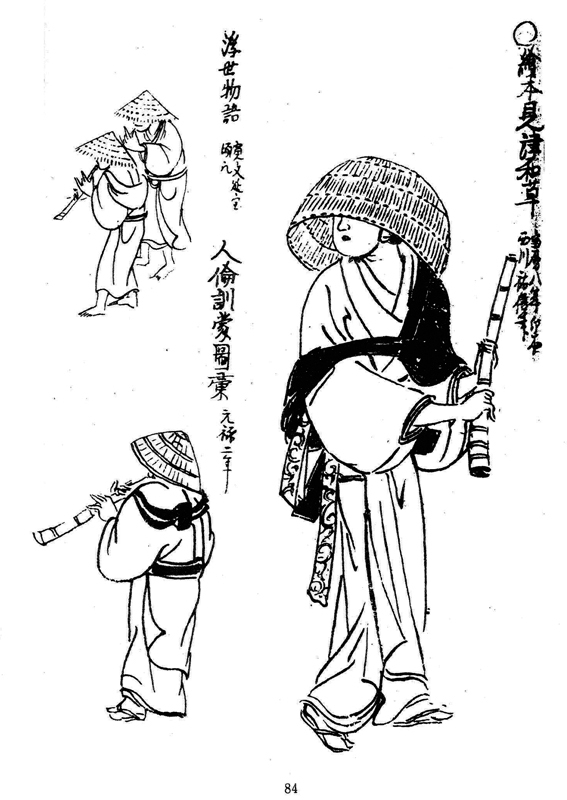 List of 34 early shakuhachi honkyoku in the 'Shakuhachi denraiki'. 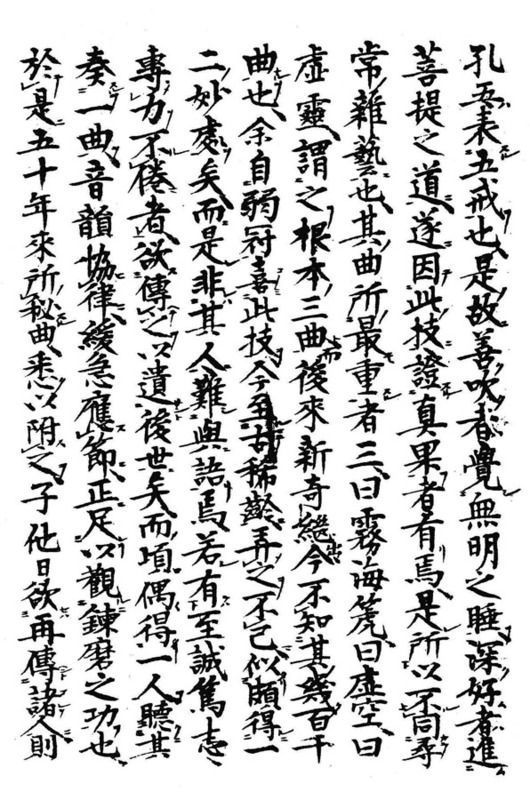 Source: 'Komusō zakki', 虚無僧雑記, possibly quite late Edo Period.